Canada is a country of contrasts and nowhere is this more felt than in the Atlantic provinces. Swap the spires of the Rockies and the plains of the Prairies with pretty fishing villages exposed to strong winds and wild seas. In the provinces of New Brunswick, Prince Edward Island, Nova Scotia, and Newfoundland and Labrador you’ll discover stunning national parks and get up close to myriad wildlife. 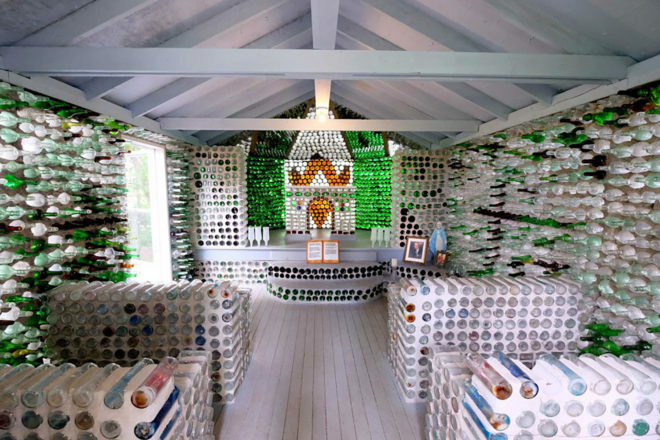 You’ll also come across rum distilleries and sample some of the best seafood in the country. 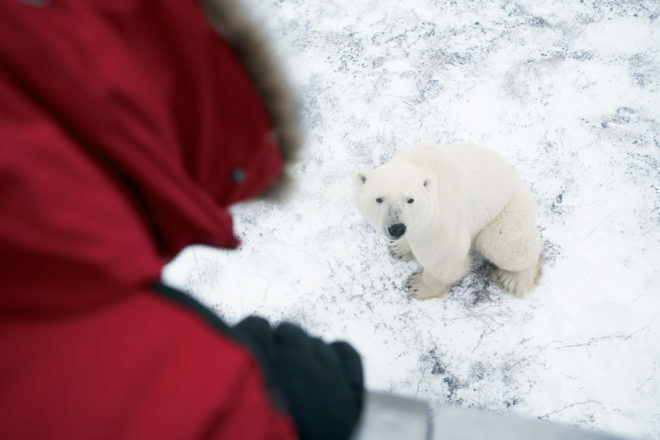 From whales and seals to puffins, moose and bears, wildlife is aplenty in the Maritimes. 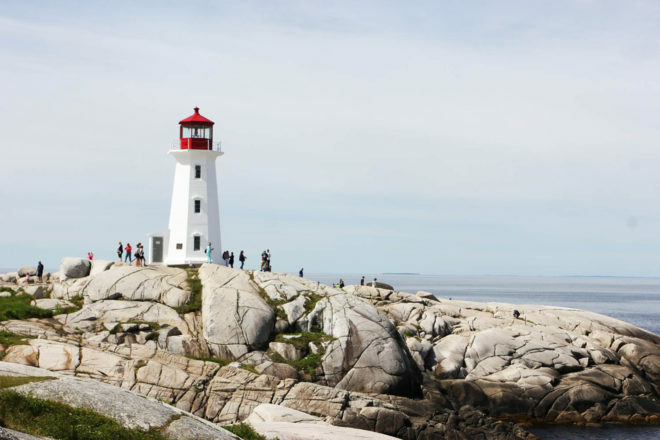 Newfoundland and Labrador is a whale-watching Mecca, with numerous species, including humpbacks, blue whales and orcas, migrating past for most of the year. In New Brunswick, you’ll get to meet the gorgeous cartoon-like puffins on a tour to Machias Seal Island, while birders will get a thrill out of spotting bald eagles, falcons and terns at many other locations around the province. If you love lobster you need to put Halls Harbour Lobster Pound and Restaurant on your hit list. This unassuming co-op/cafe is one of Nova Scotia’s best dining experiences and a magnet for foodies the world over. 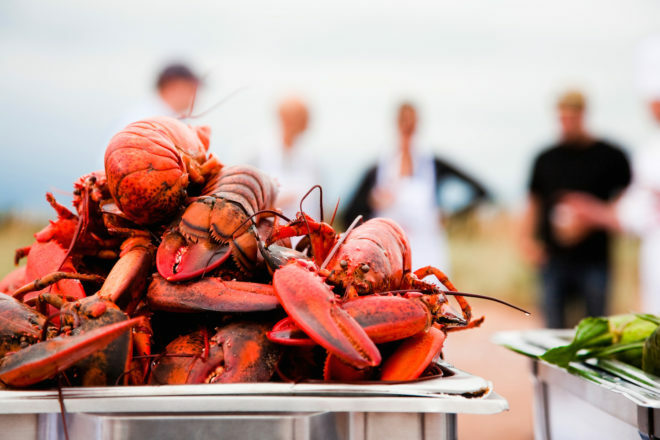 On the shores of the Bay of Fundy, you can watch the huge tides as you dig into a lobster you’ve plucked live from a tank, delivered to the chef and had served with hot butter. It’s a quintessential Maritimes experience. Also in Nova Scotia, in the sea-faring town of Lunenburg, you’ll find Ironworks Distillery. Go on a behind-the-scenes tour to learn how apples, pears, grapes and berries are turned into award-winning rum. For a fine-dining experience, The Windjammer Restaurant is an institution in Moncton, New Brunswick, and somewhere to savour classic steak and seafood dishes. If you want to live like the locals, grab a clam digger and go fishing for clams with Island Boat Adventures, on Prince Edward Island. You won’t forget foraging for dinner like this anytime soon. Explore the old growth forests and river canyons of Cape Breton Highlands National Park, in Nova Scotia. There are 26 hiking trails in the park and a great mix of gentle trails suitable for families, moderate tracks and serious climbs. If you’re not into hiking, you can cycle or drive the Cabot Trail, which follows the coastline and makes for a great multi-day road trip. Gros Morne National Park is another favourite. The UNESCO World Heritage Site will take your breath away as you hike exposed earth’s mantle and paddle or cruise through remote fjords. Fogo Island Inn is one of the most prestigious hotels in Canada, but it’s far from your typical luxury property. Leave the diamonds at home as you settle into this stunning structure perched on the sub-Arctic shores of Newfoundland. Watch storms thrash the coastline or icebergs float past before retiring to the warmth of one of the inn’s wood-burning fireplaces. If you prefer something more low-key and you’re a fan of the 1908 classic Anne of Green Gables, travel back in time on Prince Edward Island (where the novel was based) and stay in one of numerous B&Bs or cottages. Tap your toes and feast your eyes at one of the world's most gorgeous music festivals. 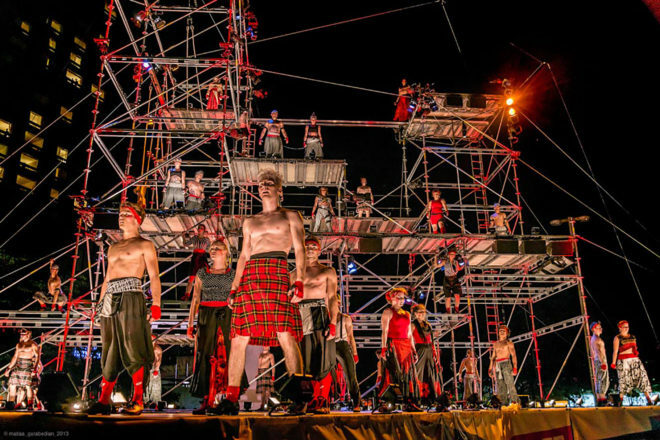 What do you get when you mix more than 400 musicians, 27 stages, six j.. Experience hospitality that is both rugged and luxurious at Canada's Fogo Island Inn. Canadian poet E.J. Pratt once famously described Newfoundland hospitality ..
And so completely worth a visit... From the music that seems to come from every street corner to the generous spirit of a people who have anything but easy li.. Occupying Newfoundland’s south-east corner, the Avalon Peninsula is a breathtaking combination of rugged scenery and vast wildlife. Lara Picone takes on the Iris.. Learn about Canada's surprising Viking history. Norse legends speak of a strange realm, Vinland, which was discovered by explorer Leif Erikson 1000 years ago wh.. Drink in all the natural beauty of the Cape Breton National Park. There’s lots of natural beauty to be seen throughout Canada, but Cape Breton Highlands Nat..
Channel your inner William Wallace right in the middle of Canada. Rich Celtic culture in the heart of Canada? You better believe it. Every autumn, Cape Br..
Frolic like one of literature's favourite daughters on Prince Edward Island. With more than 50 million copies of Anne of Green Gables in print, the titular he..
By day, paddle one of the world’s most extraordinary tides, at night eat at Wild Caraway, a Canuck favourite with a Melbourne chef. By Nikki Bayley. I’d spe..
Have a cultural experience at one of Canada's most remote, but also most beautiful locations. It's number #29 in the 100 things to do in Canada before you die. ..
An island with wild ponies, a little piece of France, a site where the earth's mantle is visible these are just a few of the highlights of this adventure cruise .. IT reader Don Carswell explores Newfoundland at a snail’s pace… just how it should be done. Wandering along the darkening streets of St John’s, .. The add on all your friends will be jealous of! Applicable on packages of $5,000 or more Add on is subject to availability Select from Gornergrat, Titli.. 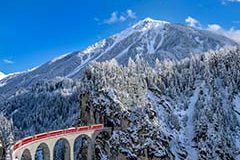 Explore Switzerland in luxury Accommodation upgrade from 3* to 4* Receive 1 night upgraded on packages of $5000 - $6,999 Receive 2 nights upgraded on p.. 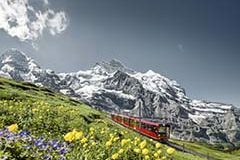 Enjoy the sights of Switzerland Applicable on packages of $7,000 or more Discount is applicable per package only .. The world's best lobster, clams and oysters... are you sensing a theme here too?.. The appeal of the Arctic Bone-chilling temperatures and unpredictable weather may not sound like the makings of a perfect holiday but if you crave adventure and w.. The appeal of the ‘Peg If Vancouver is Canada’s version of Sydney, then Winnipeg is Melbourne. It’s undeniably trendy, with a strong craft-beer scene, a d..
What to do in winter From gnarly double diamond trails to mellow greens, the twin mountains that make famous Whistler Blackcomb ski resort have something for ever..
Why Banff is so special Luring thousands of Aussies to its snow-covered streets every winter, Banff is one of Canada’s major ski centres, with three mountains o..
Perching on a peninsula surrounded by crystalline ocean and backed by rainforests which roll to the foot of the mighty North Shore Mountains, Vancouver enjoys one ..
Click into your skis There is something very special about Canada's gateway province and there is no better place to feel this magic than when gliding through pow..
What to see in Whitehorse Nothing matches the Yukon’s impressive, wild landscape more so than the hardy locals who live there, and both are reason enough to vis..
What to see in the capital Ottawa is what a capital city should be: home to the country’s best museums and galleries, with a parliament to be proud of and plent..
Venture into the Rockies With amazing ski and mountain-bike trails, Insta-worthy alpine lakes, waterfalls you can climb in winter and one of the most picturesque .. So where exactly are we talking about? Canada’s Prairie provinces are those landlocked between British Columbia and Ontario, beginning technically where the Roc..